I used to shudder at the prospect of putting oil on my face. Even before my skin became a little greasier and more spot-prone, the idea of using an oil to moisturise was one I refused to even entertain. But then I started reading some reviews of face oils on blogs, and many of the bloggers in question had noticed a significant reduction in the amount of blemishes they had after using an oil. Curious, I ordered a bottle to try — and I was sold. Face oils are now one of my favourite beauty products. So when the lovely people from Ooh! Oils of Heaven got in touch to ask if I’d like to try their Natural Cacay Anti-Ageing Face Oil, £39*, I said yes. Cacay Oil is 100% Caryodendron Orinocense Seed Oil, or a 100%-natural nut oil in simpler terms, and has a faint scent that reminds me of sesame. It contains double the amount of Vitamin E and Linoleic Acid than argan oil, and three times more Retinol than rosehip oil. All are said to be the ideal anti-ageing ingredients and while I’m not at the stage where I need to worry about that just yet, my skin does look a little more alive after I use the oil. Does it keep my skin hydrated through the night until morning? Does it inflame my acne and/or mix badly with my acne medication? Would I use it to replace my favourite rosehip oil? A dry oil, this is definitely the lightest oil I’ve ever tried. Ooh! suggest you can use the Cacay Oil morning and night, although I stick to the evenings — it sinks in quickly but it does still linger longer than a lotion. I wake up each morning with my skin feeling soft and moisturised, with no residue in sight. Does it keep my skin hydrated? Oh yes. I’m also happy to report that the Cacay Oil hasn’t caused any breakouts (although admittedly I haven’t really noticed a positive difference, either, but that may be down to the stress of starting a new job, I’m not sure). My acne medication sits nicely over the top of the oil, too, with no strange reactions. The killer question, then: Would I use it to replace my favourite rosehip oil? Unfortunately the answer is no. 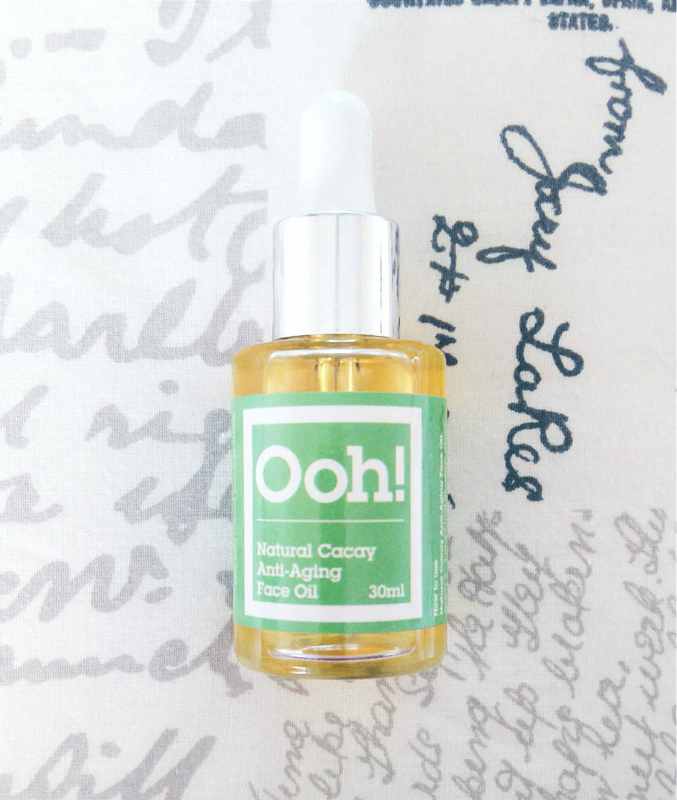 The Cacay Oil is lovely, don’t get me wrong, but I need skincare that will make a visible difference to my spots. If, however, you want a product that tackles the effects of ageing and you don’t want to give up using face oils, or you’ve got clear skin and you’d like an oil that’s light yet hydrating, this may well be worth a try. Are you a fan of face oils? Have you ever tried anything from Ooh! Oils of Heaven? Let me know in the comments!